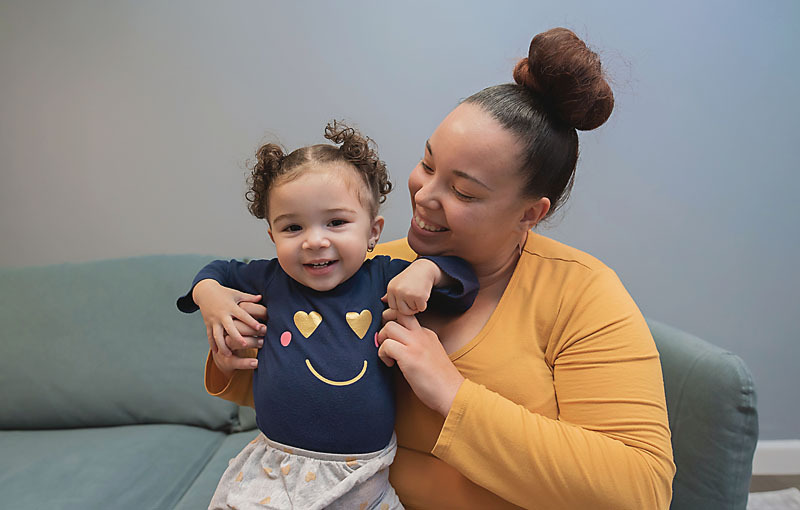 After giving birth to a daughter in the summer of 2017, April found herself faced with a decision all too familiar for single mothers—whether to get a low-paying job to make immediate ends meet or further her education with the hopes of providing long-term stability. She heard about The Grooming Project from a teacher who had been working with her niece and daughter, and it sounded appealing right away. Growing up in Kansas City she had always loved animals, even wild ones, because they provided a sense of peace and calm amid problems at home—abuse, drugs, and alcohol—that led to her being adopted by a caring aunt and uncle as a toddler. Having just become a mom, though, she felt pressured to make money immediately. She chose to delay her entry into The Grooming Project and pursue a job at nearby store but regretted it quickly. Promised promotions never came, and her hours were cut repeatedly, leaving her with little more than gas money. After a few months she realized the job would not lead anywhere, nor would it allow her to reach an important goal.